What do human rights have to do with health? If you think about it, quite a lot. Many reasons people don’t access care are a result of human rights violations. These can be anything from a policeman breaking the needle of someone who injects drugs thereby putting them at risk of blood-borne diseases, to someone not wanting to attend a clinic appointment for fear of losing their job. Denying someone health care is itself a violation of a human right. This was the reason behind a multi-stakeholder meeting held on the 21 and 22 November in Johannesburg. Nearly 100 delegates from civil society organisations around the country gathered to discuss the data on human rights violations and to formulate the steps to generating a national plan that can address them. Completing this task is a critical part of the National Strategic Plan for HIV, TB and STIs 2017-2022. TB HIV Care was highly visible at the meeting. 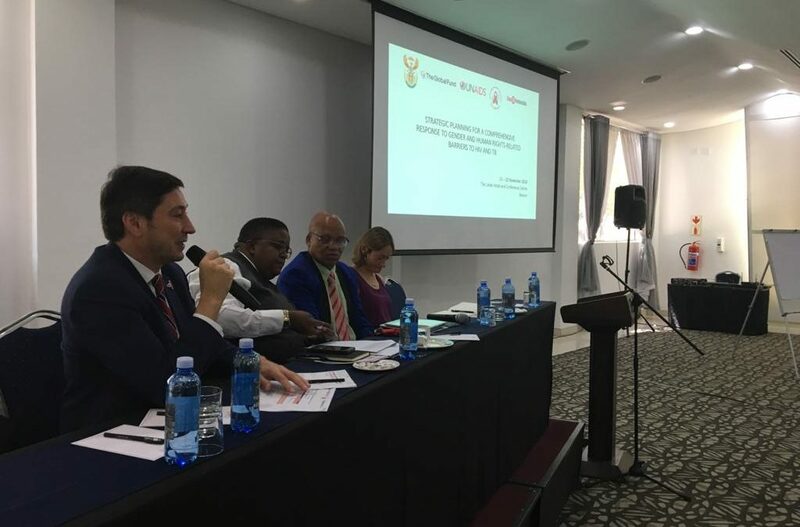 CEO, Prof Harry Hausler, presented a case study of how human rights violations impact people who inject drugs, with particular reference to the closing of our needle and syringe programme in eThekwini. Anna Versfeld and Christian Tshimbalanga, independent consultants working with TB HIV Care, presented the findings of the research they have been doing into the barriers people experience when accessing TB services. It was an intense two days hearing about how much work we still have to do to address a variety of stigma and structural barriers. We look forward to a plan that will move us towards ensuring that no one is left behind, and that health is accessible to all. 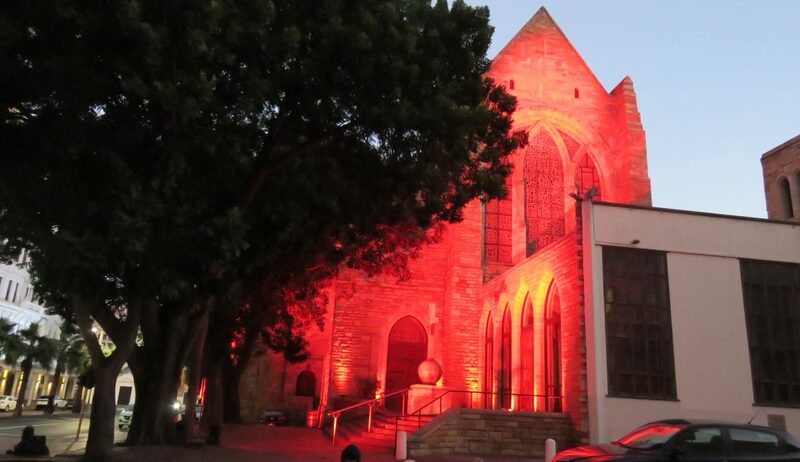 TB HIV Care, the National Department of Health and Table Mountain National Park, joined Stop TB Partnership’s global initiative to “Light up the World for TB” by lighting Table Mountain red on Saturday evening, 24 March. 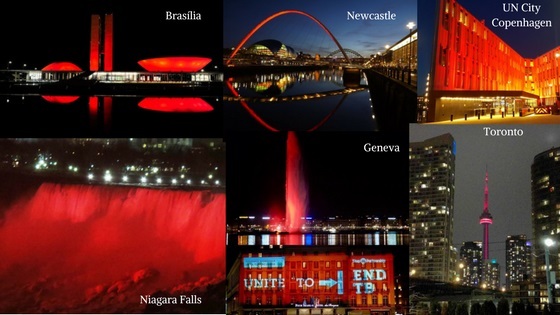 This year 60 landmarks in 44 cities in 21 countries around the world were lit up to demonstrate a commitment towards ending TB. We were extremely proud to add Table Mountain to that list. The event caught the imagination of many TB advocates, activists and champions – all the way up to the President of South Africa, Mr Cyril Ramaphosa. Unfortunately, the president was unable to make the event as planned (he was delayed in meetings), but we were honoured to welcome Dr Aaron Motsoaledi (who read an address from the president) as well as Dr Yogan Pillay (Deputy Director-General at the Department of Health), Dr Linda-Gail Bekker (Deputy Director of the DTHC) who gave a powerful address, and guests from Unitaid. But, as Dr Motsoaledi recognised, the real VIP guests on the night were the children and staff of the Brooklyn Chest Hospital. 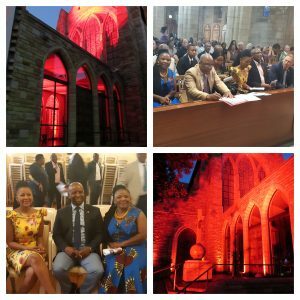 Their presence reminded us that, in the words of President Ramaphosa, “the symbolism of lighting up landmarks around the world must extend beyond honoring those who have died from TB, to a commitment to ending TB by 2030 or sooner”. Unfortunately we couldn’t do anything about the weather (and as Capetonians we are grateful for any rain!) and the overall effect was a little more subtle than hoped because of the cloud and mist. But it was a special night – one we will remember for a long time! TB HIV Care was lucky enough to receive live coverage on eNCA as well as additional reporting on eNCA.com, News24.com, Eyewitness News and Cape Talk. To read more about our contribution to the campaign, have a look at Stop TB Partnership’s latest newsletter.